Advanced stages of hepatitis can cause jaundice (yellowing of the skin and the whites of the eyes), swelling in the legs, confusion, and blood in stool or vomit. Long-term inflammation of the liver can lead to liver fibrosis, which is the result of the wound-healing response to repeated injury, i.e. 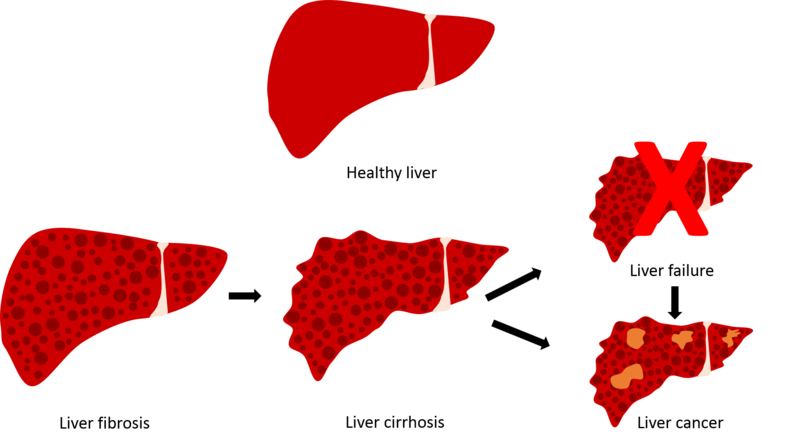 the liver is replacing dead liver cells with scar tissue. Excessive scarring can lead to liver cirrhosis which prevents the liver from working properly. Without interventions, liver cirrhosis may lead to liver cancer and/or liver failure. For people with liver cancer or failure, a liver transplant can sometimes be the only hope for long-term survival, as there are no available medical devices to permanently replicate the functions of the liver.  According to the WHO, ~325 million people are living with chronic viral hepatitis. These five hepatitis viruses are often not clinically distinguishable during the acute stage of viral hepatitis. However, they do have different characteristics, such as type of transmission and incubation periods. In adults, the majority of people have an effective immune response to HBV infection, and suffer only short-term (acute) illness. Less than 5% of people may develop a chronic HBV infection. Of those chronic HBV infections, 20–30% progresses to cirrhosis and/or liver cancer. In contrast, most infants (80–90%) infected with HBV during the first year of live develop chronic HBV. HBV can be prevented with a vaccination. HDV is a satellite virus, unable to replicate in the absence of co-infection with HBV. As a result, it only affects people with an HBV infection, but it can lead to the most severe forms of hepatitis. Worldwide, ~15 million people are infected with HBV and HDV, according to WHO. A simultaneous infection with HBV and HDV is often associated with full recovery (95%). In contrast, an HDV superinfection in people with chronic HBV is often associated with a poorer prognosis. HDV superinfection can quicken progression to cirrhosis in 70–90% of people with chronic HBV infection. HDV can be prevented by prevention of HBV transmission. The transmission of HEV is similar to that with HAV, but also includes eating undercooked meat or meat products derived from infected animals. In most cases, the HEV infection clears within 2–6 weeks. The prevention techniques are consistent with HAV. A vaccine to prevent HEV was registered in China in 2011; however, it has not yet been approved by other countries. 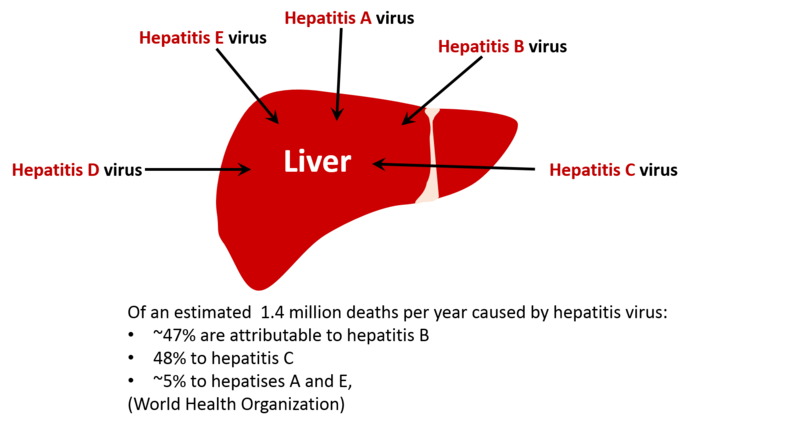 Viral hepatitis – Is elimination possible? WHO has published data from 28 countries that show that there is a global reduction of hepatitis viruses; however, many challenges remain. The World Hepatitis Day provides an ideal opportunity to raise awareness of viral hepatitis. A short tweet might already be enough to start a conversation and thereby slightly shorten the journey to elimination of viral hepatitis.